Prince Charles poses for an official portrait to mark his 70th Birthday in the gardens of Clarence House, with his family. Cape Town – Clarence House has released two new photographs of the Prince of Wales and his family. 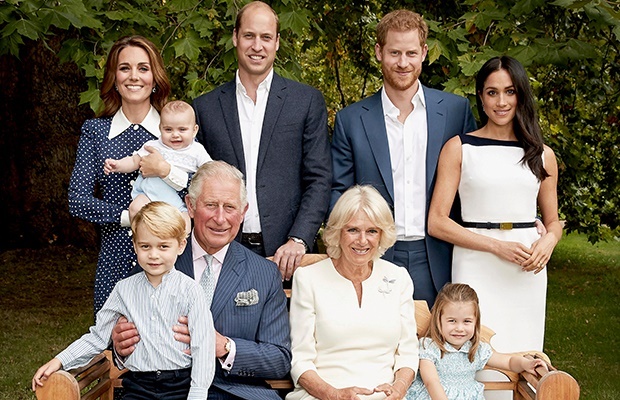 The family portraits were released in honour of Prince Charles 70th birthday on Wednesday, 14 November. The stunning photos were taken by Chris Jackson in the garden of Clarence House. In the first picture Prince Charles holds five-year-old Prince George on his knee, next to him is his wife The Duchess of Cornwall Camilla seated next to her is three-year-old Princess Charlotte. In the back row are The Duchess of Cambridge Catherine with six-month-old Prince Louis, Prince William, Prince Harry and the Duchess of Sussex Meghan. In the second picture the family joyfully laugh at something off camera.